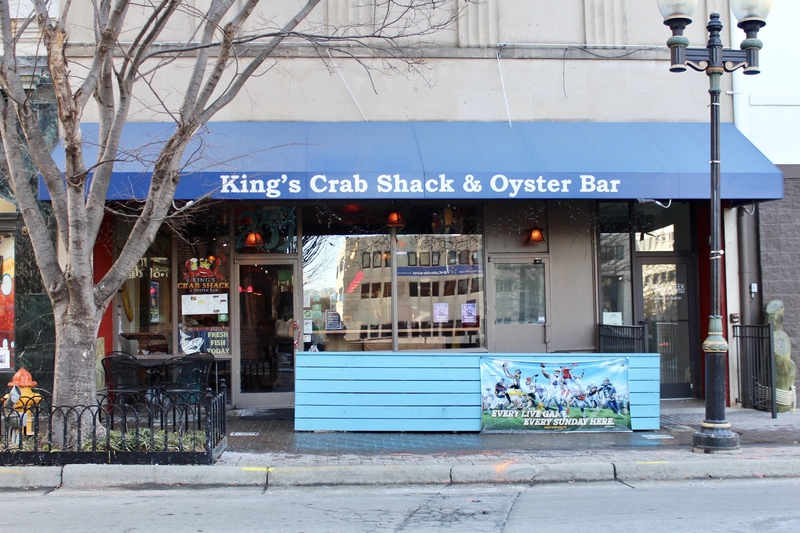 In the spirit of honesty, I was a little hesitant to include a spotlight on King’s Crab Shack. Have you ever obsessed over a song before it was on the radio, and then months later, it was everyone’s favorite and they played it so often that it ruined it? That’s how I feel about sharing my very favorite hole in the wall. I’ve had birthday parties there and I visit almost every time I go to Winston-Salem. I believe I once left a Yelp review describing the restaurant as “my happy place.” It’s a dive, but if you know me, you know that I love dives. If your establishment keeps Christmas lights up even though it’s July, I’ve probably been there (and loved it). King’s food is always a slice of heaven, especially their French fries, and all patrons dine under a mural of watchful mermaids (they’re probably watching in envy, honestly- they didn’t get those figures by enjoying crab cake sandwiches washed down with a cold beer). Pro tip: get the fries. They’re heavenly. After stuffing yourself with peel-and-eat shrimp, enjoy a long walk over to Winston’s latest hotspot, Vintage Sofa Bar. It’s a chic cocktail lounge whose interior is gorgeously designed to be especially instagrammable, as are the drinks and the bartenders. They also serve generous pours of wine and beautifully curated cheese plates. This little gin beauty was called Nasty Nate. Pro tip: this sounds ridiculous, but their infused water is divine. My friend and I half-joked that we’d come again just for the water.